There are more than books at this library. The Wauwatosa Public Library is known for its themed glass displays full of information and 3D objects to inspire, inform and entertain. 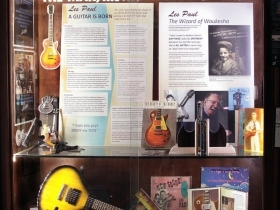 Showing now are two displays dedicated to the life of Les Paul, the legendary musician, inventor and raconteur. 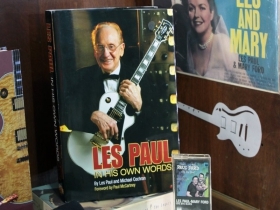 Les Paul’s birthday is June 9. 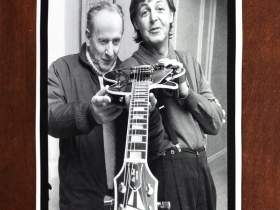 He would have been 102. Les lived till he was 93. A free, handy trifold handout is available to get more general info on one of the most admired Americans of the last century. This display will be available to view until July 31st. Barb Klausmeier assembled and added graphics to the displays. Barb is a 57-year veteran of the public library and does all the glass displays amongst other duties at the library. She retires this year. 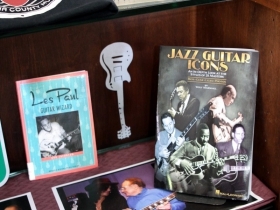 The items were curated by Wauwatosa resident Brad Smith. 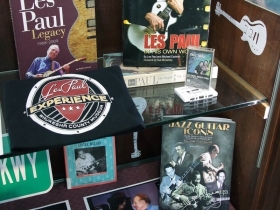 Items are on loan from Brad Smith’s private collection, the Les Paul Foundation, and the Waukesha County Museum. 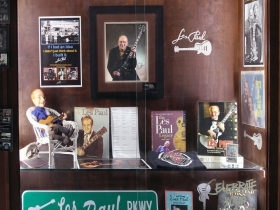 For more information on the life and legacy of Les Paul you can visit the Les Paul Foundation. If any school or community organization would like to reprint the posters for public viewing, they are available to anyone to download and print for free. 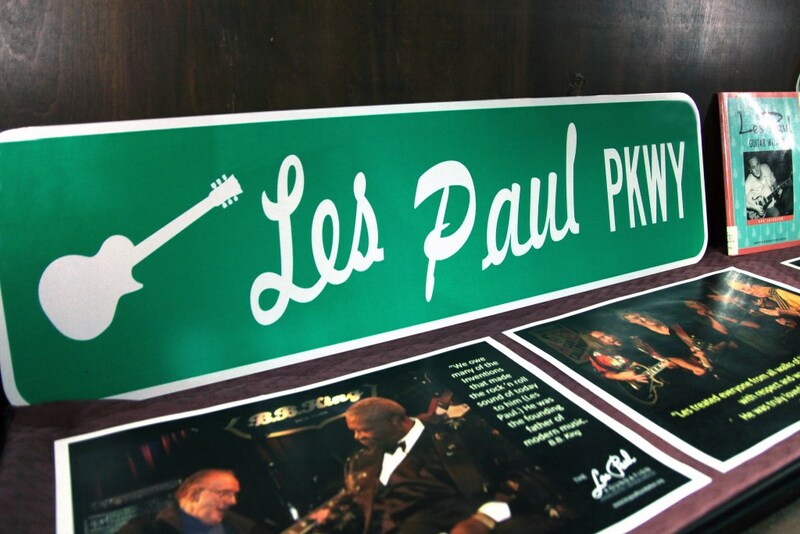 See Also: The Les Paul, The Wizard of Waukesha Peter Hyde Design / BRC Imagination Arts, Fabricator / Project Management, Chicago Scenic Studios and photos by Erol Reyal.